Chartreuse Le Cariol is the perfect place to spend your holidays. Full of artistic inspiration and lots of fun for the kids. 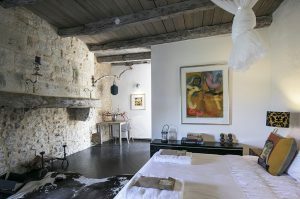 Here in the beautiful French countryside of the Dordogne, you can discover this completely restored 12th century Chartreuse in its original style. 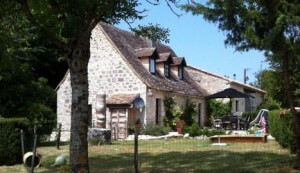 Only 20 minutes from Bergerac airport, easily accessible with flights arriving with Transavia, Flybe and Easyjet. 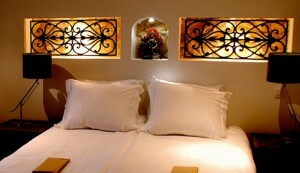 We have three luxury family suites and a charming cottage. From your own private terrace you can enjoy the most beautiful sunsets, while sipping a good glass of wine. Our large swimming pool is the ideal place for your kids to meet up with their new friends! For evenings of relaxation we often enjoy fires in the open fireplace in the pool house. You can also relax in the wood fired hot tub, enjoy a yoga class or massage. 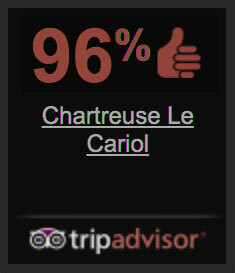 We wholeheartedly welcome you to Le Cariol. During the summer you can enjoy our table d’hôtes under the chestnut tree several nights a week. Our wonderful chef will do anything possible to offer you a culinary surprise! Marthijn de Groot has displayed his art on the whole property for you to enjoy. Wireless internet is available.